2 Person per ski add $10 for the first hour. Call for reservations or ski availability. 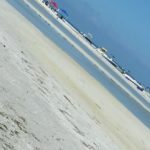 The Best Rates In The Tampa Bay Area. 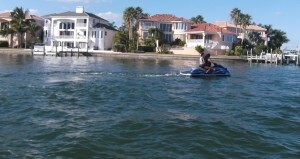 If you are tired of riding in the same area, come ride with us. 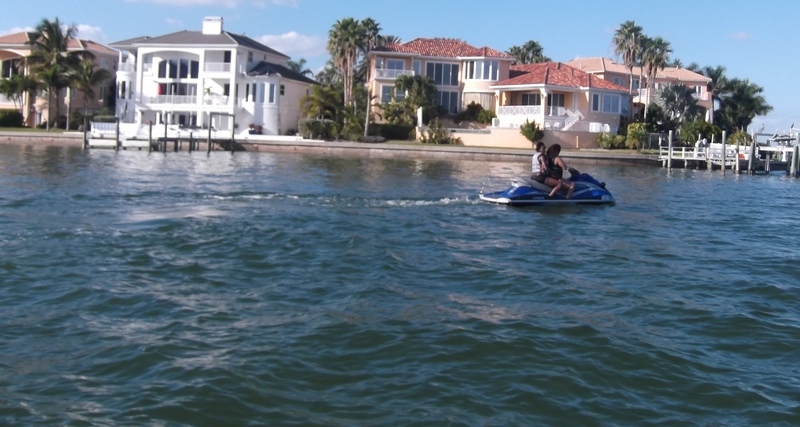 We will drop the jet ski anywhere that there is a boat launch ramp. 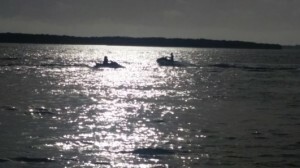 There are hundreds of fun water-bodies to chose from, from lakes, to the inter-coastal waterway, rivers, the Gulf of Mexico and Tampa bay itself. $70.00 Per Hour Per Ski. $45.00 For 30 Minutes Per Ski. If you get TWO Skis for TWO hours or more Deduct $5.00/per hour per ski!! 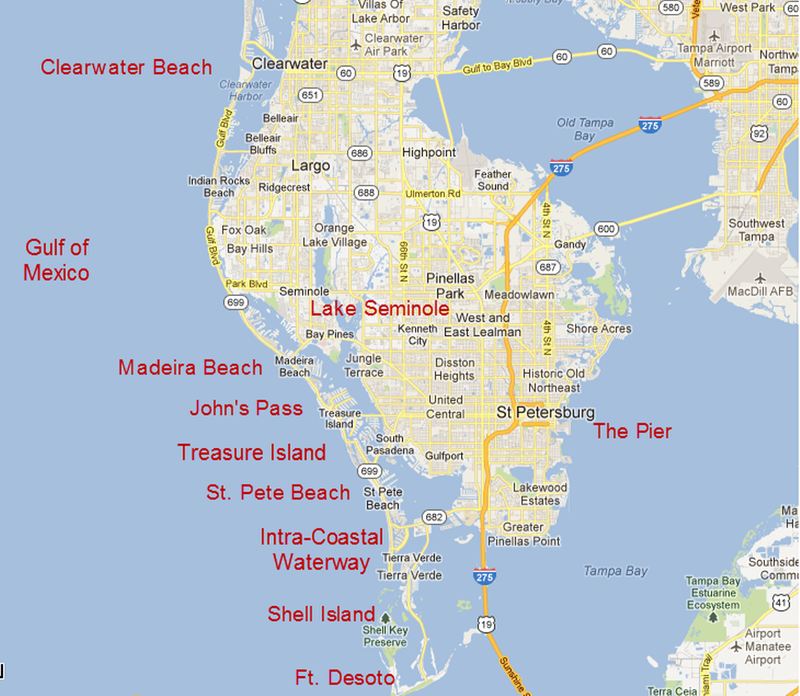 One of our tour guides will take you on a adventurous journey to locations like Shell Island and Egmont Key. Our tour usually take 1 to 2 hours. 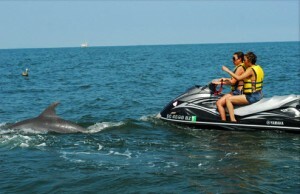 While your out you might run into a pod of dolphins, sea turtles, manatees, rays and many more! 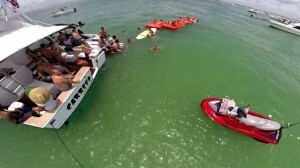 The Sandbar Excursion is Designed for 10 people or more. With the sandbar Excursion you can relax or party out on the sandbar, the sandbar offers something for everyone to do.If you enjoy snorkeling bring your snorkeling gear, if you enjoy swimming or playing in the water you can also go swimming, the sandbar is like a beach in the middle of the ocean so you are on an island in the middle of the ocean.You will spend 4 or 5 hours out on the sandbar we will provide tents and a portable music box so you can jam out on the sandbar, we will also provide refreshments. We suggest you pack a lunch for the day, if you bring Alcohol please bring it in a plastic container. 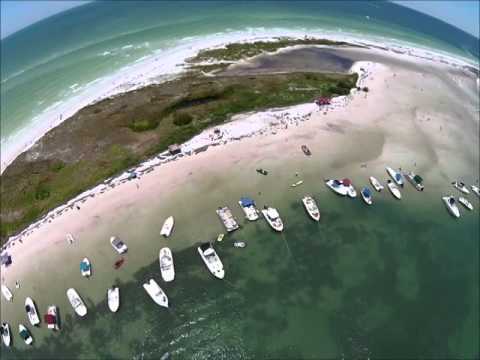 The pick up location is from Fort Desoto Boat Ramp.On the weekend the sandbar will have other boaters on the sandbar, so if you want the sandbar to yourself the time to go is on the weekday. 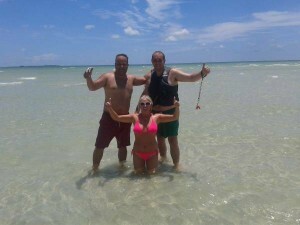 Our Captain will pick you up from the boat ramp and transport you and your party to the sandbar. 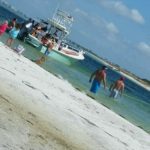 We can take 10 passengers at a time, the ride to the sandbar is about 15 minutes out from the dock. 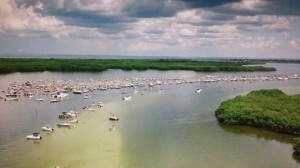 The boat will stay out at the sandbar if anyone needs to leave early. 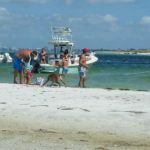 Please be sure to bring your own beach towel or beach chair if you want to lay out on the sand and get some sun.This is a great adventure out on the sandbar to get away from every day life, come relax or have fun on the sandbar with us. Please call to make reservations. Our launch time is 11am. 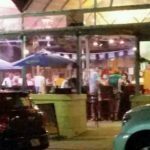 So don’t wait another minute – book your party now – and let the anticipation BEGIN!!! Cooking out on the sandbar, please bring your own grill, and cooler, we do have a cooler on board, but it would be a good idea to bring your own cooler. 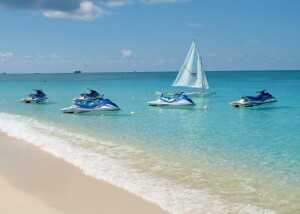 The Boat and Captain for hire offer a couple of different packages, this is design for 2-6 people at a time on the boat. 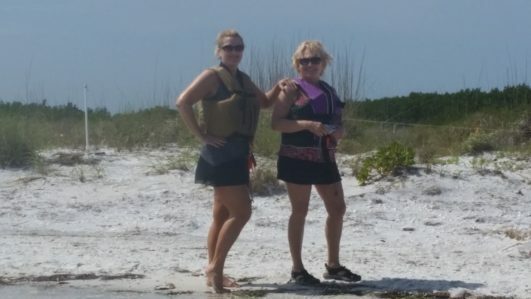 Our Captain will take you to a couple of different beaches in the area such as, Saint Pete beach, Pass-a-grille Beach, Treasure Island Beach, and Johns Pass, at anytime if you get hot we can anchor the boat and you can jump in the water and cool off. 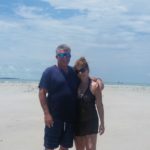 With this tour our Captain will take you to different bars and restaurants on the water by boat. We have a couple of favorite spots we take you to on the water, where you can eat and get a nice drink. 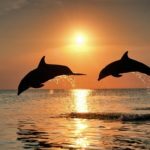 On our sunset cruise our Captain will take you out to the Gulf to watch the beautiful sunset, he will anchor you down, and you can relax with a bottle of wine and watch the sunset. 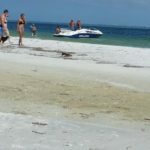 With this package our Captain will take you to visit some of the beaches and sandbars in the area where you can get off the boat and swim around and enjoy the day out on the water. If you want to bring your snorkeling gear feel free, we suggest you pack a lunch and refreshments, we offer water on the boat, if you bring alcohol please bring it in a plastic container . All of our Packages can be modified to meet your needs. 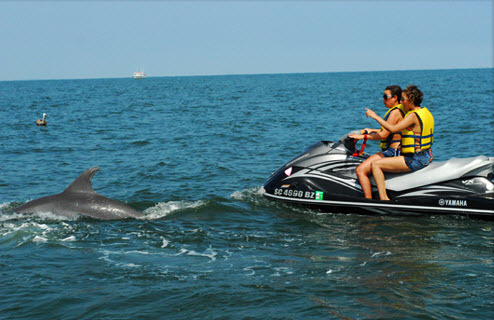 We encourage reservations in advance – so book your Adventure TODAY! Launch time is usually is at 8pm. Please call for pricing. We have the local restaurant menus on board.